Thistles, Stirling was turned into a chocolate wonderland for five tantalisingly tasty days. 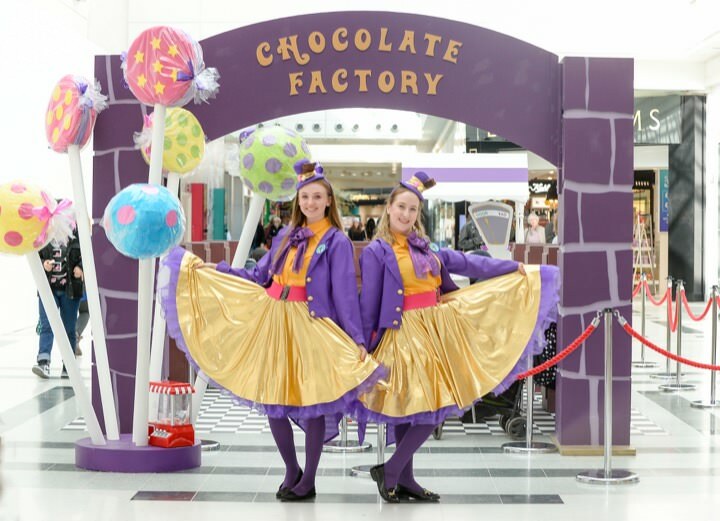 Based on the yummiest book ever written, The Chocolate Factory by Roald Dahl, Thistles Chocolate Factory offered free chocolatey goodness and unmissable treats for eager youngsters and their families. These included Chocolate Creator and Crazy Cookie Creations Stations, Story Telling and Chunk the Chocolate Monster Wooden Spoon Crafts as well as Sweetie Jar Decorating and Ice Cream Making.